Order in the next 3 hours 9 minutes and your package will dispatch on Friday, April 19. 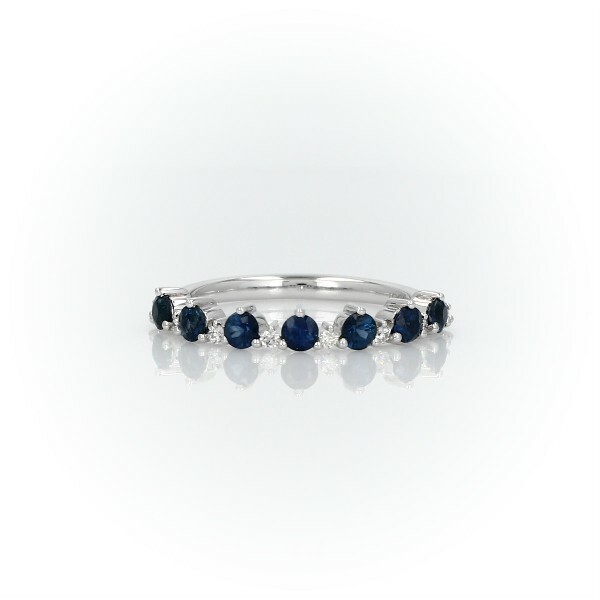 Bring deep royal blue colour into your ring stack with the extraordinary brilliance of sapphire gemstones. Seven sapphires alternate between eight diamonds, all claw-set in bright 14k white gold. Due to this ring's delicate nature, we do not recommend for daily wear and are unable to resize or repair.